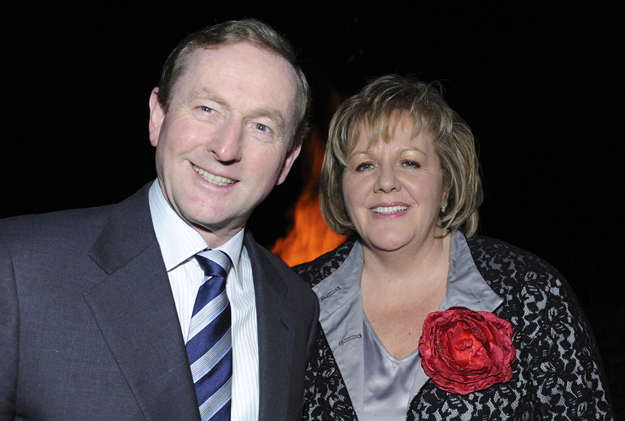 An Taoiseach Enda Kenny and his wife Fionnuala. Photo Tom Campbell. 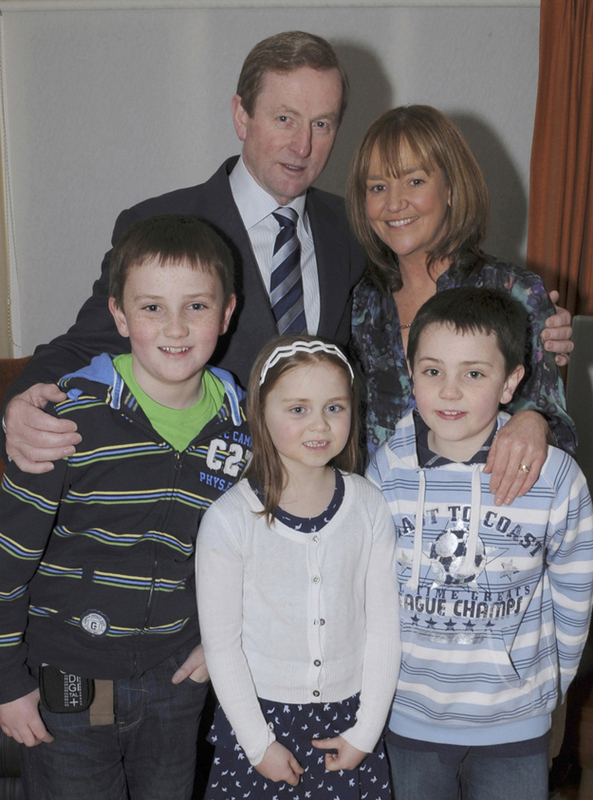 An Taoiseach Enda Kenny with his wife Fionnuala and children: Naoise, Aoibhinn and Ferdia. Photo Tom Campbell. 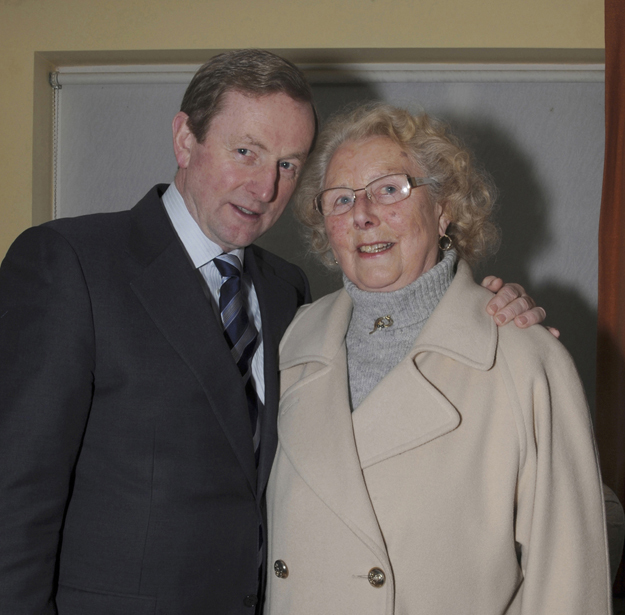 Peggy Lee and An Taoiseach, Enda Kenny. Photo Tom Campbell. Marcella, Padraic, Dylan and Adam Chambers with An Taoiseach Enda Kenny. Photo Tom Campbell. Carol, Evan, Maureen, Frank and John Murray, Steven Timlin and Naomi Denning with An Taoiseach, Enda Kenny. Photo Tom Campobell. 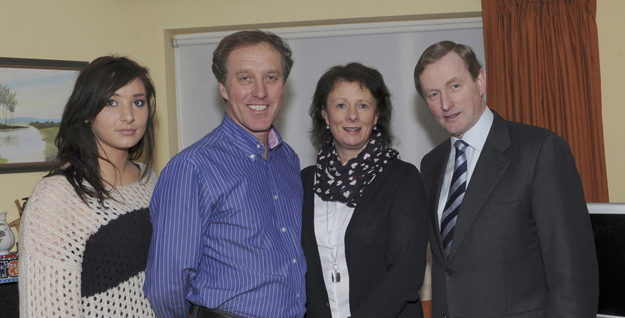 Tony and Josephine Mc Donagh with An Taoiseach Enda Kenny and Fionnuala Kenny. Photo Tom Campbell. Mary, John, David, Jennifer and Darragh Loftus with An Taoiseach Enda Kenny. Photo Tom Campbell. 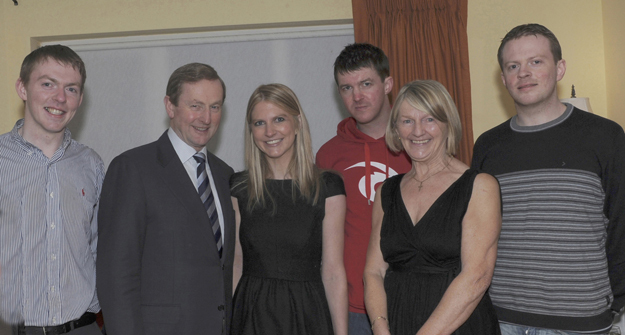 Sean, Mary, Sadie Bourke and Marty McNicholas with An Taoiseach Enda Kenny. Photo Tom Campbell. 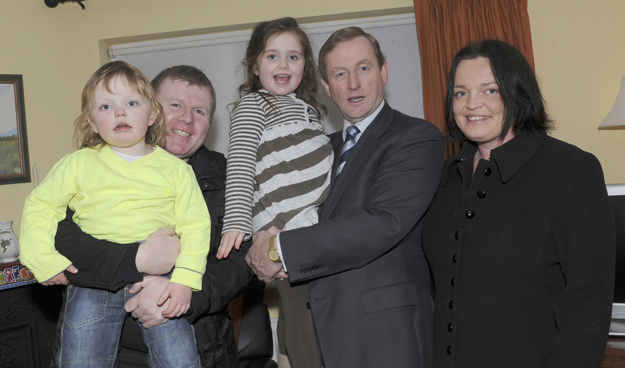 Kevin, Ann, Grace, Colum and Fionn Filan with An Taoiseach Enda Kenny. Photo Tom Campbell. 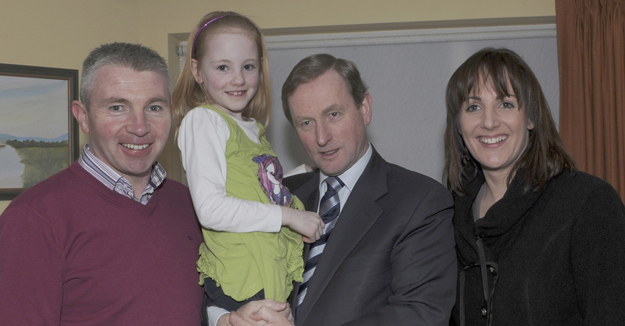 Edmond, Caroline and Saoirse Barrett with Enda An Taoiseach, Enda Kenny. Photo Tom Campbell. 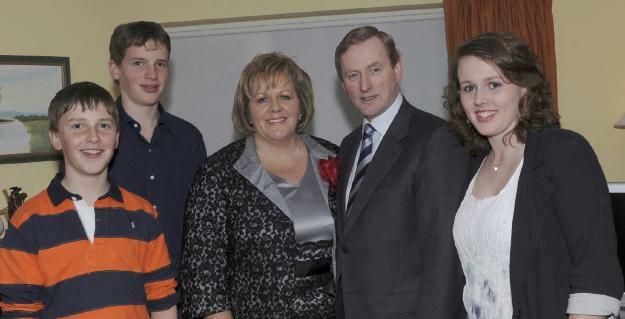 Martin Casserley, Amie, Calum and Mary Hanley with An Taoiseach Enda Kenny. Photo Tom Campbell. 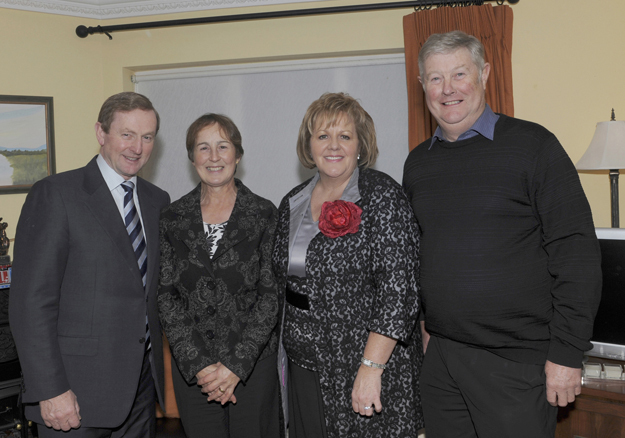 Philip and Ann Dunlop with An Taoiseach Enda Kenny. Photo Tom Campbell. 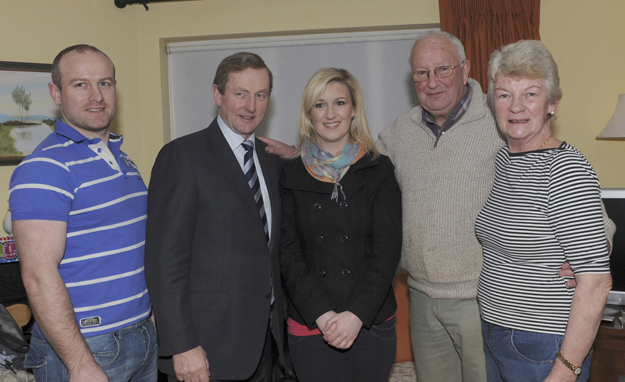 Aine and Stiofan O'Morain with An Taoiseach Enda Kenny and Fionnuala. Photo Tom Campbell. 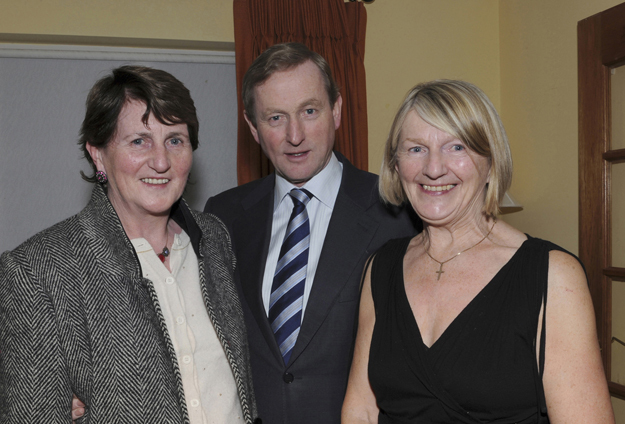 Mary Loftus and Kathleen Lohan with An Taoiseach, Enda Kenny. Photo Tom Campbell. 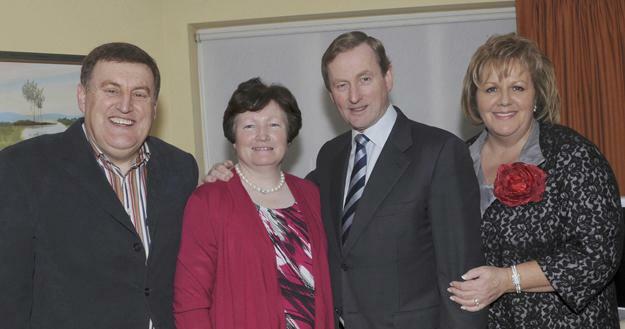 Colm, Jackie and Emma Hynes with An Taoiseach Enda Kenny. Photo Tom Campbell. An Taoiseach Enda Kenny addresses thousands of supporters at the T.F. Royal Theatre. Photo Tom Campbell.